COSO guidance is designed to assist companies in ensuring the effectiveness of their financial, operational, and compliance-related internal controls. 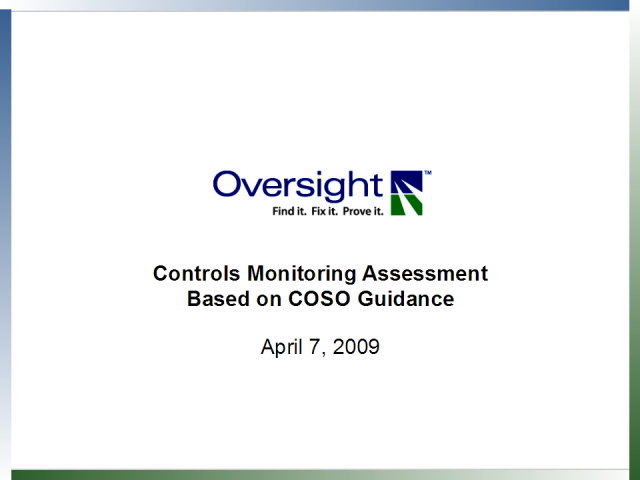 Continuous monitoring technology that meets the COSO requirements can deliver the most persuasive feedback regarding the internal control system’s operational effectiveness. Learn how employing technology solutions can provide ongoing, real-time monitoring that will itself serve as a key control, improve operational performance through both detective and preventive functionality, and enhance external confidence in reporting and results.